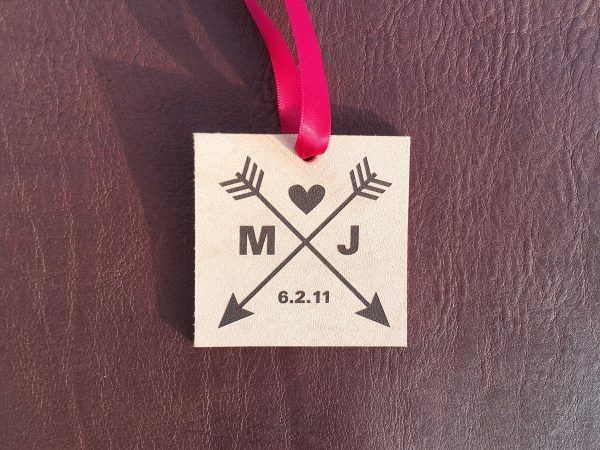 Wedding monogram holiday ornaments. Custom, made to order engraved holiday rustic decor. These custom, hand crafted and designed leather holiday ornaments will make a special gift, stocking stuffer and even a great party favor or gift tag. Get one custom made for each of your guests! Which design style would you like? 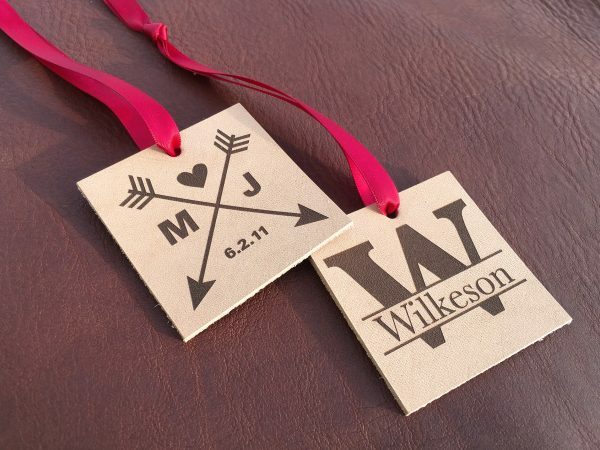 Personalized wedding monogram holiday ornaments! 100% real leather. Natural vegetable tanned leather. Raw cut.